I am a pediatrician. I created KidneyWeb as a portal for written and electronic resources to help other medical professionals, especially those caring for children. My primary professional objectives are patient care and teaching. I have interests in patient advocacy, iron and anemia management, history of medicine and use of computers in medicine. I practice in Fort Worth, Texas and surrounding areas. I have published many articles in scientific and popular publications (see list of publications and speaking engagements). I frequently give presentations to medical groups, and have held a faculty appointment at Texas A&M University College of Medicine. I have been interviewed by KIII-TV (ABC), KZTV (CBS) and KORO (Univision) in south Texas. I also serve as a consultant to the Food and Drug Administration, and as a reviewer for scientific journals, including Pediatric Nephrology and Nature Clinical Practice: Nephrology. I established another website, RailwaySurgery.org, dedicated to the history of the unusual medical specialty of railway surgery. I am available for lectures, keynote addresses and other speaking engagements. 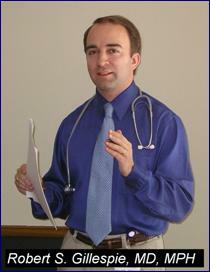 I can speak to any type of audience, including medical (specialty or primary care), non-medical and the general public. The lecture will be tailored to meet the needs of your group, but some suggested topics are listed below. Please feel free to contact me to discuss your needs and any ideas you may have. This site was created with Netscape Composer. It's designed to be compatible with all browsers. MetaTag assistance courtesy of SubmitCorner.com.